The Enterprise value is a fundamental indicator of how the market attributes value to a firm as a whole. This term is used by the analysts in order to discuss the aggregate value of a company as an enterprise rather than just focusing on its present market capitalization. Learning about Fundamental Analysis will help you to understand this term. Enterprise Value (EV) represents the entire economic value of the company. More specifically, it is a measure of the theoretical takeover price that an investor would have to pay to acquire a particular company/business.  It is a part of the basic foundation of stock analysis for the value investor. To know what it would cost to purchase the entire company/business. To provide a capital neutral valuation that helps in comparing with other companies. Now the question is how can you/ to calculate Enterprise value. EV = Market value of equity (Market Capitalization) + Market value of debt (Total Debt) – Cash and cash equivalent. Market Capitalization is arrived by simply multiplying the current market price with the number of outstanding equity shares. Total debt is generally taken as outstanding long term and short term debt reported in the balance sheet of the company. Preferred shares if they are redeemable then they are treated as debt. Minority share is defined as the portion of subsidiaries that is held by the minority shareholder. Cash and cash equivalents reported in the balance sheet of the company. Company’s Enterprise Value is strongly impacted by Debt and cash. Think of two companies that have an equal market capitalization. One has no debt on its balance sheet while the other one has some debt on its balance sheet. The debt-laden company will be making an interest payment on the debt over the years. (preferred stocks and convertible that pay interest should also be considered debt for the purpose of calculating value) So, even though the two companies have equal market caps, the company with debt is worth more. For example: Company A and Company B both have equal market capitalization of 500 cr. Company A has 0 Debt and Rs 10 cr in cash while Company B has Rs 30 cr of Debt and no cash. Company A would be cheaper to acquire than the company B. Debt increases the cost of purchasing a company, therefore an addition in the EV calculation formula. On the other hand, cash would be an asset, so it is subtracted in the EV calculation. It tells us the theoretical take over price (worth) of the company. It represents the economic value of the company. It is help in valuing capital intensive businesses and help in comparing company with different capital structure. For the stock market investors it is used to neutralize the risk and accordingly compare the returns expected. The Enterprise Value can be compared with earnings available to the entire capital (both equity and debt). EV/EBIT is a way of deciding whether a share is cheap or expensive relative to its peers. It is similar to the commonly use price/earnings ratio (P/E), rather than using just the firm’s share price- which ignores debt – it uses enterprise value (combined value of debt(less cash) and equity fund of the business). Sometimes market participant use EBITDA instead of EBIT because depreciation and amortization is a non cash expense. EV to EBITDA ratio measures how cheap or expensive the business is. The higher the ratio, more expensive the business and lower the ratio, cheaper the business. Enterprise value to sales is a valuation measure that compares enterprise value (EV) of a company to the company’s Sales. EV/SALES give investors a quantifiable metric of how much it costs to purchase the company’s sales. Enterprise value to sales is an expansion of the price to sales (P/S) valuation. EV/Sales perceived to be more accurate than P/S, because market capitalization doesn’t take a company’s debt into account when valuing the company. Generally, a lower EV/Sales means that a company is believed to be more attractive or undervalued. Any investment in a particular company would need detailed information on the fundamental of the company and its comparison with their peers. Enterprise Value plays a very important role in doing the fundamental analysis of the company and help in comparing with the peers. By using enterprise value instead of market capitalization, investors get a more accurate picture of whether or not a company is truly undervalued or not.